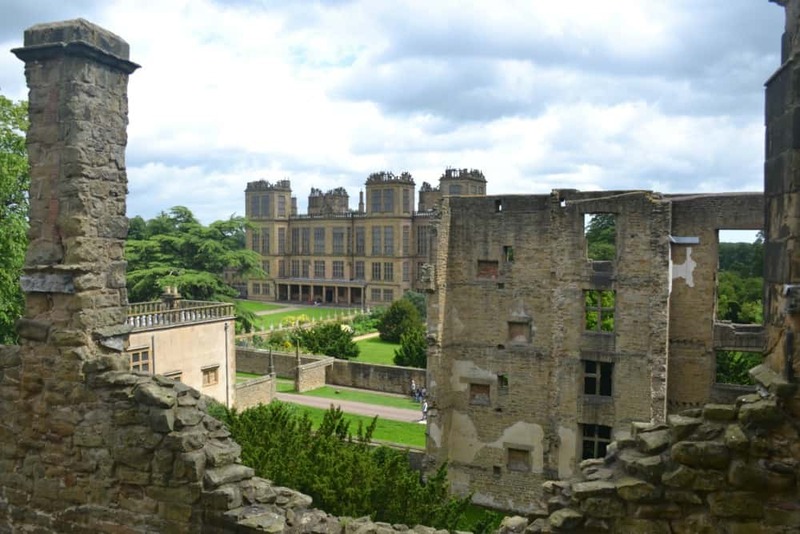 What’s so great about Hardwick Hall in Derbyshire? 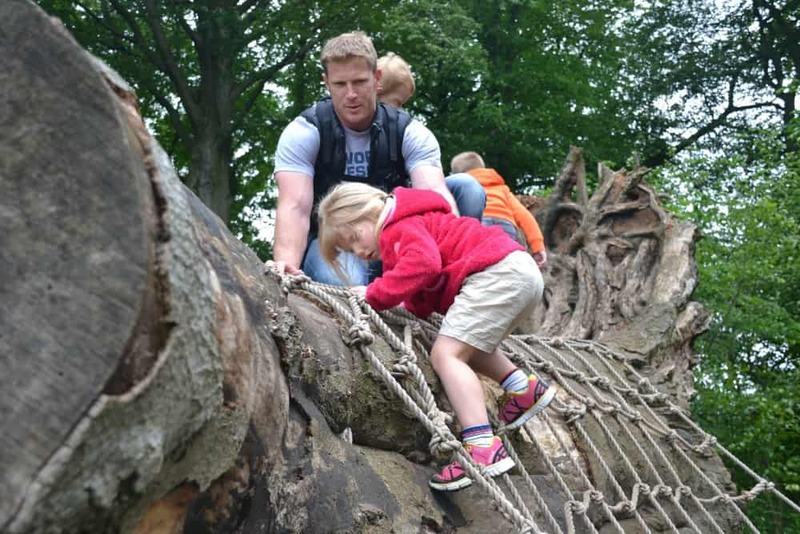 During our recent long weekend in the Peak District we were spoilt for choice with great family attractions in the surrounding area. 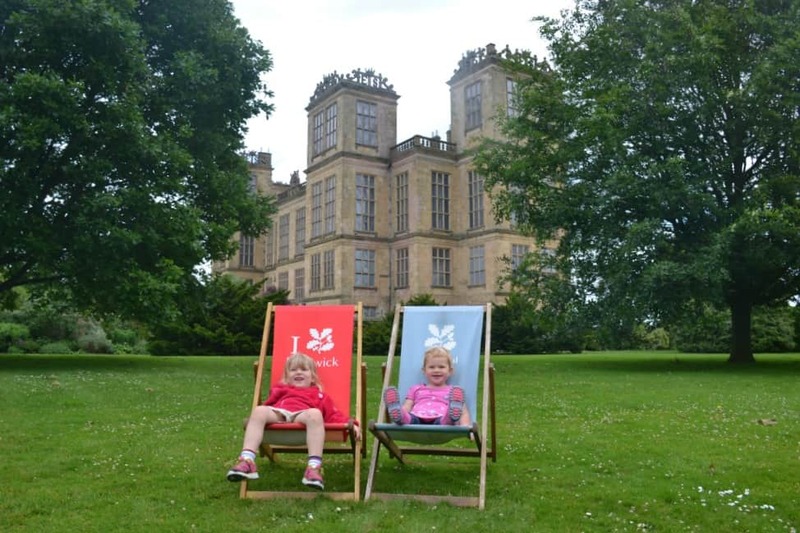 The National Trust in particular had plenty of properties for us to choose from, including Hardwick Hall – a 16th Century stately home overlooking the rolling Derbyshire landscape. 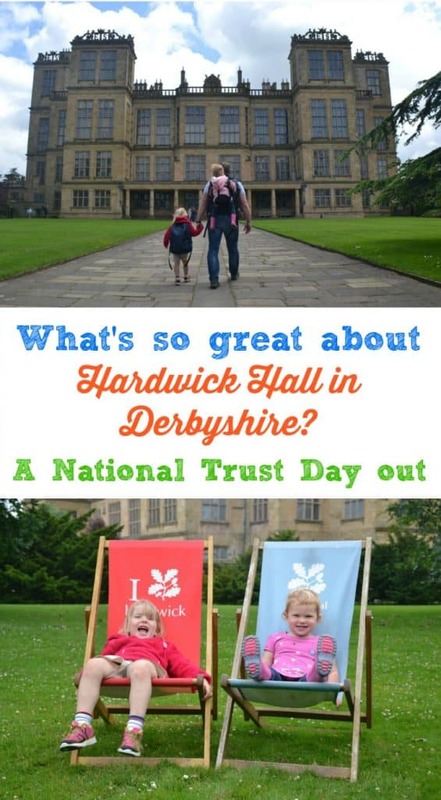 We received an invite to spend a day at Harwick and experienced what we think is one of our best National Trust days out yet. As members of the National Trust* we know we can always expect beautifully preserved estates and gardens, helpful volunteer guides, and dribble-worthy cake in the cafe. 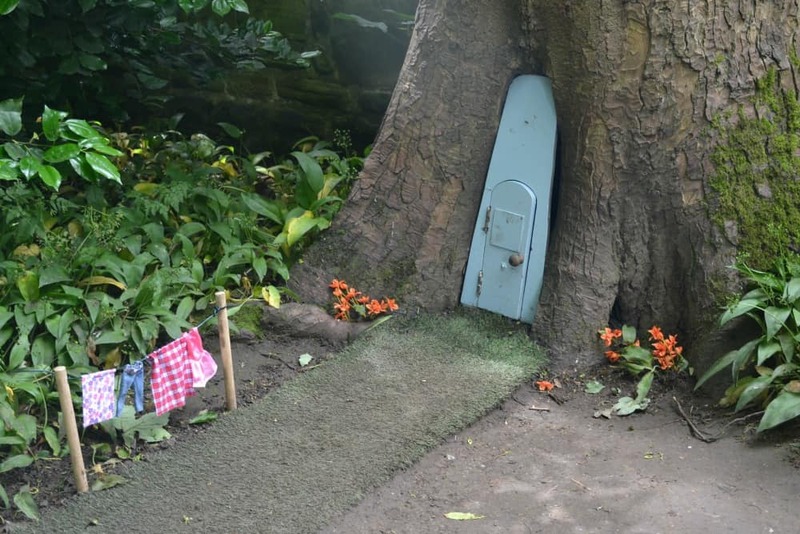 On top of that, den building, hunting for fairy doors, and playing dress up have become staples on our girls’ day out bucket list. Hardwick delivered on all of these things, plus it has a bundle of fascinating history to boot. Bess of Hardwick lived a rags to riches life in Elizabethan England. She was married four times and lived into her eighties. 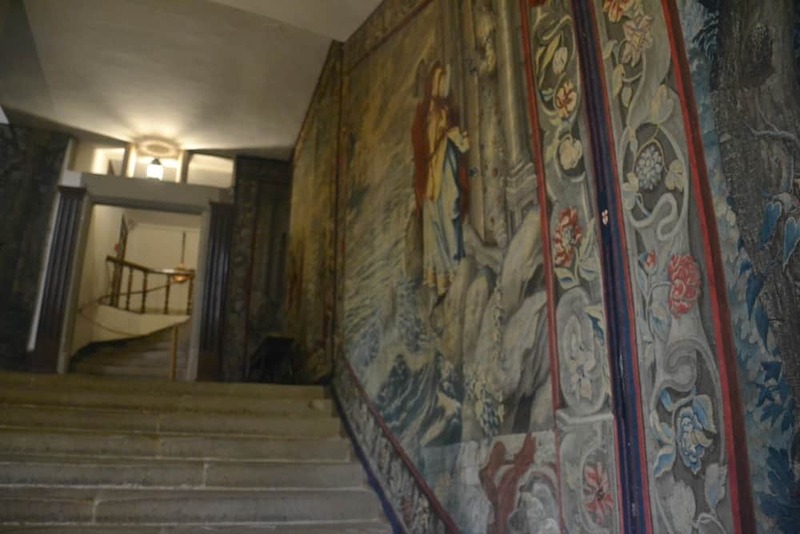 Building Hardwick Hall as a symbol of her wealth and status which is obvious from the elaborately topped turrets to the lavish tapestries adorning almost every wall inside. She was a peer of Elizabeth I, a custodian of Mary Queen of Scots and the great-great grandmother to Arabella Stuart who had a legitimate claim to the throne when Queen Bess died. Her cousin James succeeded and Arabella eventually ended up in the Tower of London where she died in 1615. Bess’s dynasty continued. Hardwick Hall remained in the family but was mostly used as a holiday home, with nearby Chatsworth as the main family residence. 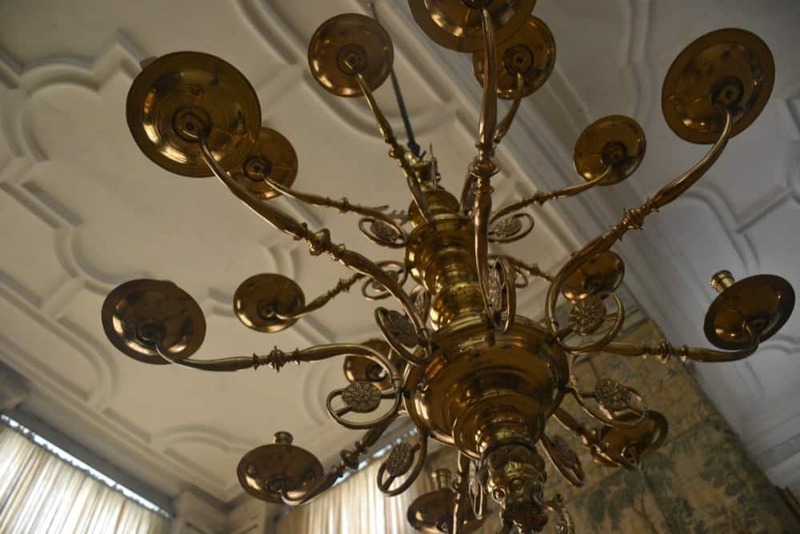 As the family modernised their properties there was less focus on Hardwick, which meant much of the house’s original furnishings are still intact. Walking through the heavy wooden doors into the Great Hall feels like you are stepping back in time. 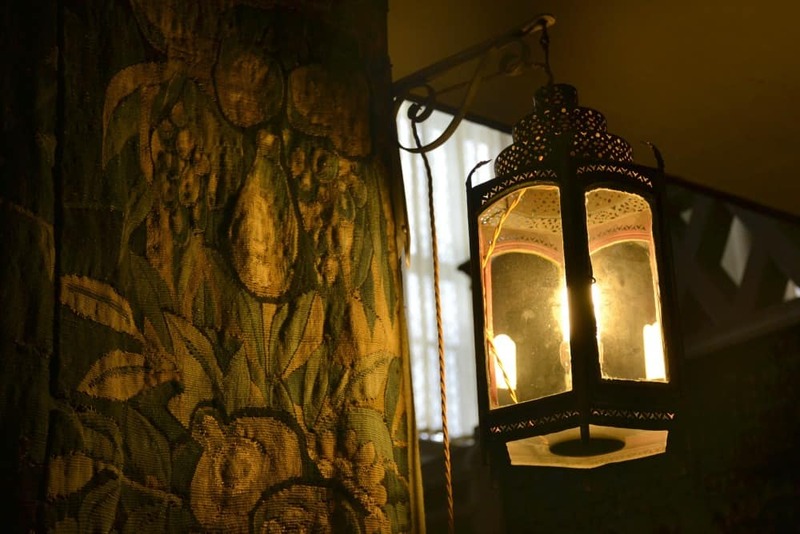 Only the dulled colours of the intricately worked tapestries give away the age of the place. Rush carpets – not the originals, but reintroduced more recently – give off an amazing earthy smell that dominates the state rooms. This place is a dream for fans of the Tudor and Elizabethan eras. The rooms are large with a lot of the ancient treasures to the sides of the main walkways meaning we could let the girls loose, albeit still under close supervision. 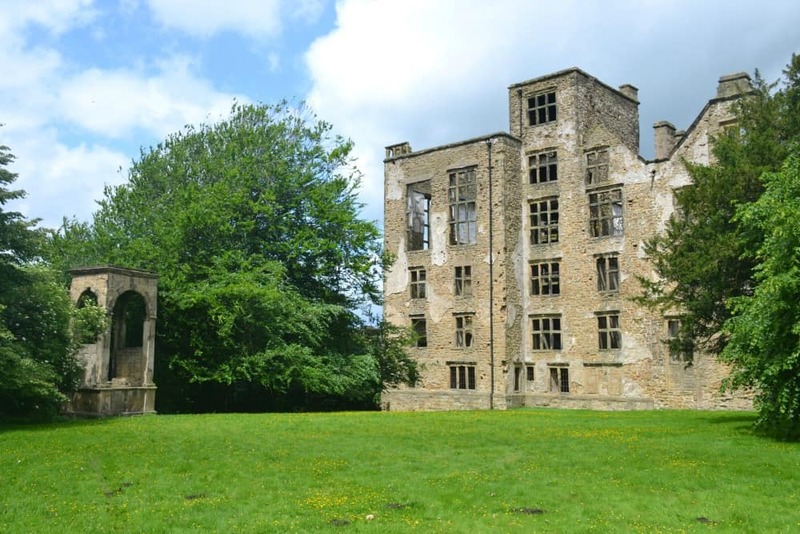 Hardwick Hall stands next to the preserved ruin of Bess’s childhood home – the Old Hall. This is owned by the National Trust and managed by English Heritage. 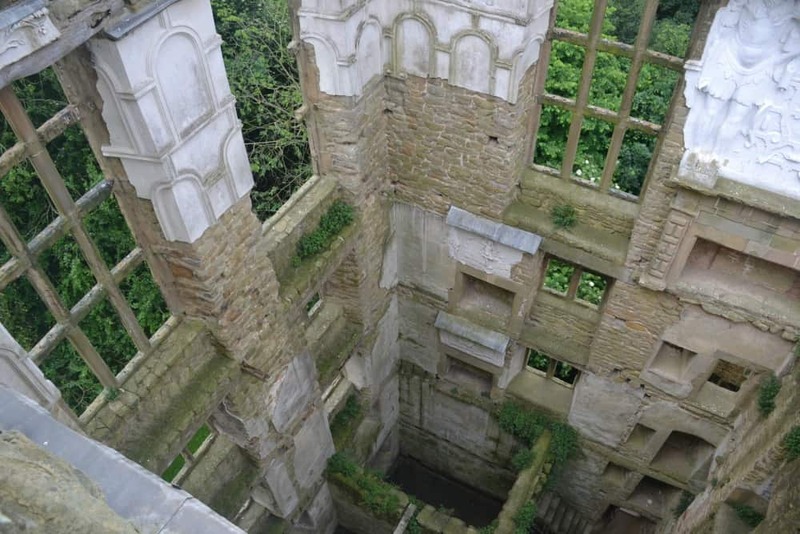 A ticket to Hardwick also includes entrance to the Old Hall which is a marvel in itself. Before building the new hall on the cusp of the 1600s Bess completely renovated the old one. Today it is shell. However, you can still climb four floors to the top of this remarkable building admiring the surviving friezes and drinking in the views from the top. The plaster work gives you a taster of what some of these grand rooms would have looked like in their heyday. But where lavish tapestries and oak carvings once hung, poppies and seedlings have taken root. 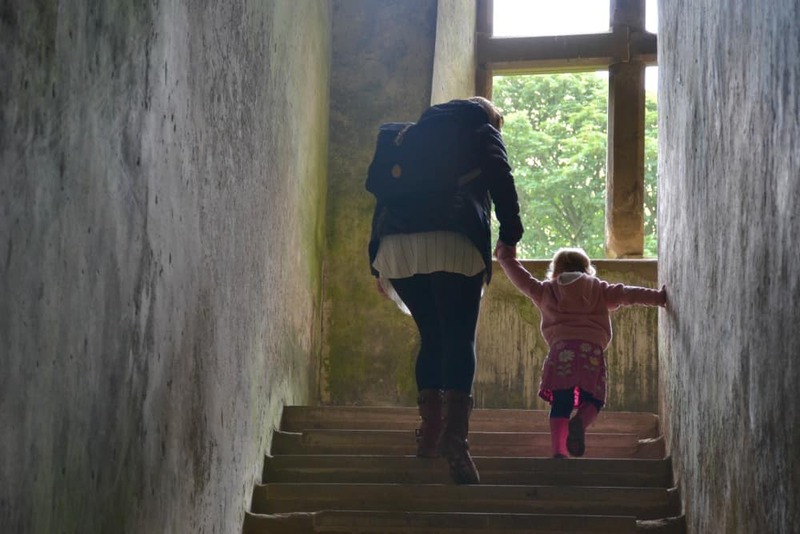 Our girls loved exploring the nooks and crannies of the Old Hall, and did remarkably well climbing the weathered and uneven steps to the top. Mr Tin Box enjoyed trying to capture pictures of the swallows nesting in the cracks of this once grand home. 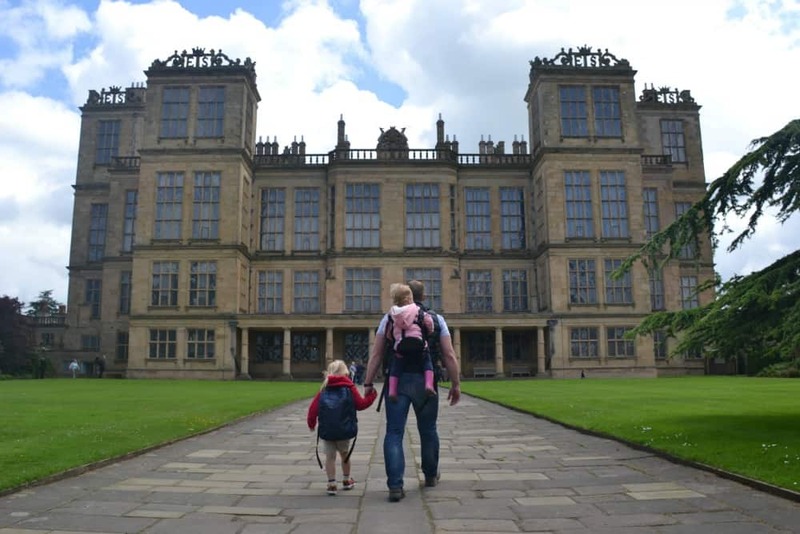 I’ve already mentioned there’s lots of space for little people to stretch their legs inside Hardwick Hall but that’s nothing compared to outside. We only toddled around a small fraction of the formal gardens with their open lawns, walled courtyards and orchards. Beyond the gardens there’s picnic perfect lawns outside the estate houses and 7,006-hectares of grounds. 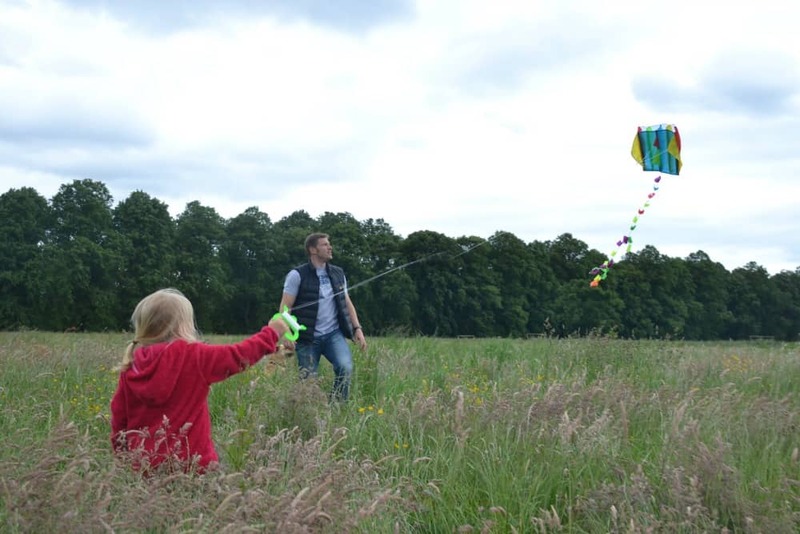 We used some of this grassy expanse to fly a kite that had kindly been given to the girls by the National Trust when we arrived. Hardwick sits high on a hill overlooking the Derbyshire countryside. From the very top of the Old Hall you can see for miles and appreciate the grander of its replacement next-door. 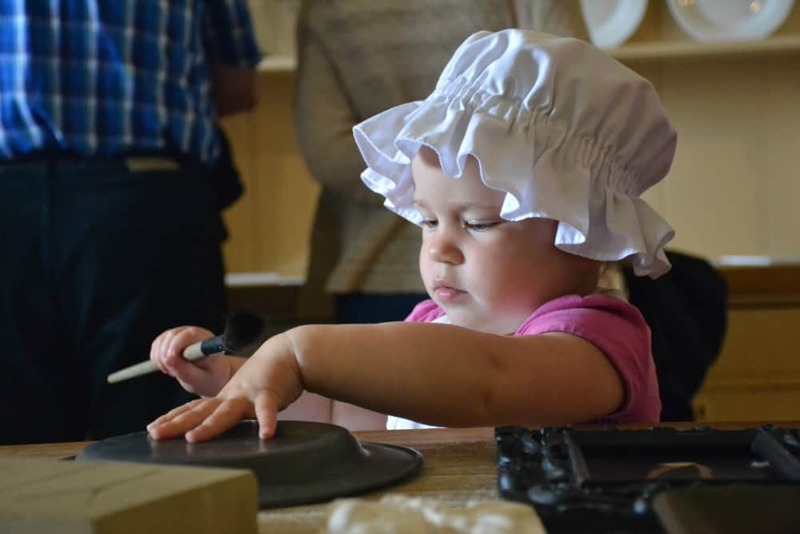 A visit to a historical estate wouldn’t be possible with two pre-schoolers without some carefully positioned opportunities to play. It only took 20 minutes to get there from where we were staying at Darwin Forest but by the time we had driven up the extraordinarily long driveway the girls were itching for some exercise. 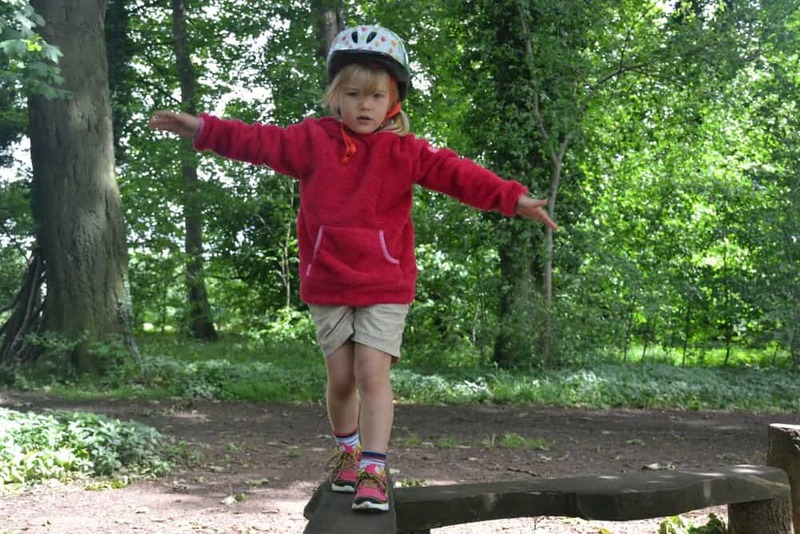 This is when we came across the play trail with swings, obstacles and balance beams which runs along the back of the car park to the visitor centre. 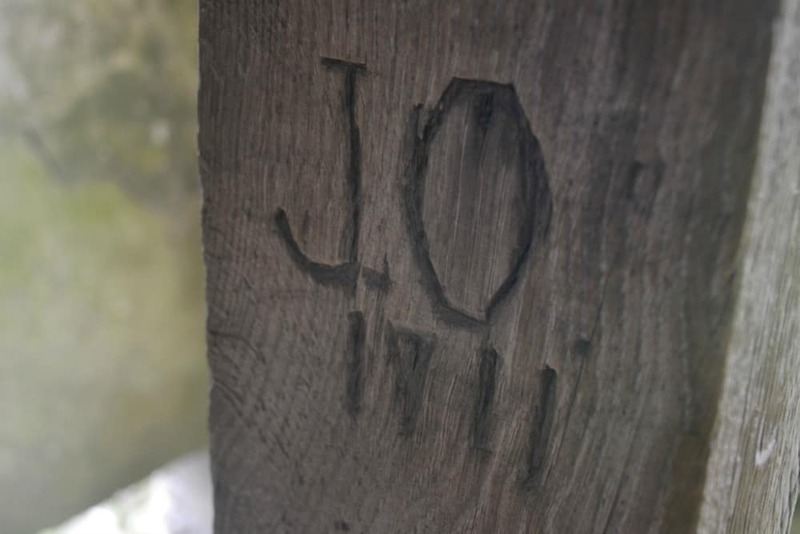 For those with long legs you can take one of four marked out walks around the estate ranging from 1.5 miles to 3.5 miles. 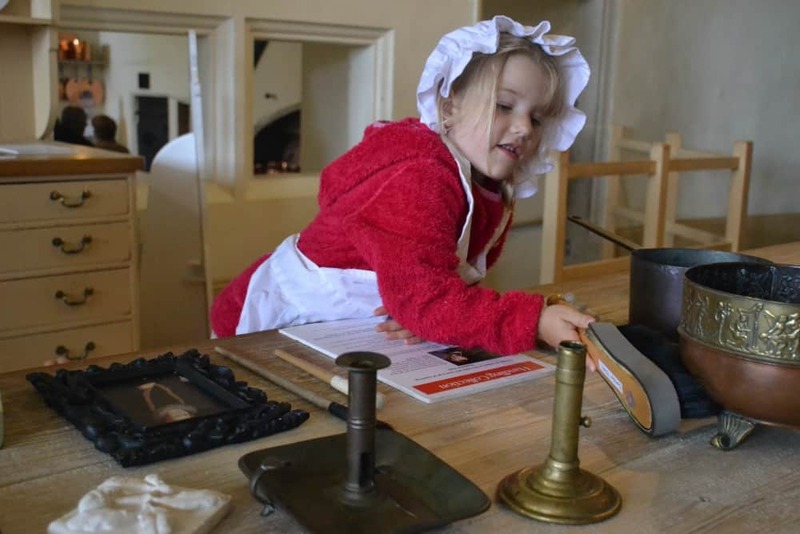 Inside Hardwick Hall our girls were starting to tire of the Tudor artwork and hunting trophies when we came across as basket of maids outfits and cleaning tools in the kitchen. This kept them occupied for ages. In the gardens they were able to run off more steam, pose for a few obligatory National Trust deckchair shots and search for fairy doors. Hardwick is one of those places you could come back to again and again. Both houses are fascinating in very different ways. I don’t think I could ever tire of admiring the original Elizabethan furnishings in the new hall. Plus the views from the old one are a fabulous reward for a relatively easy climb – even our four and two-year-olds made it up without a hint of a complaint. 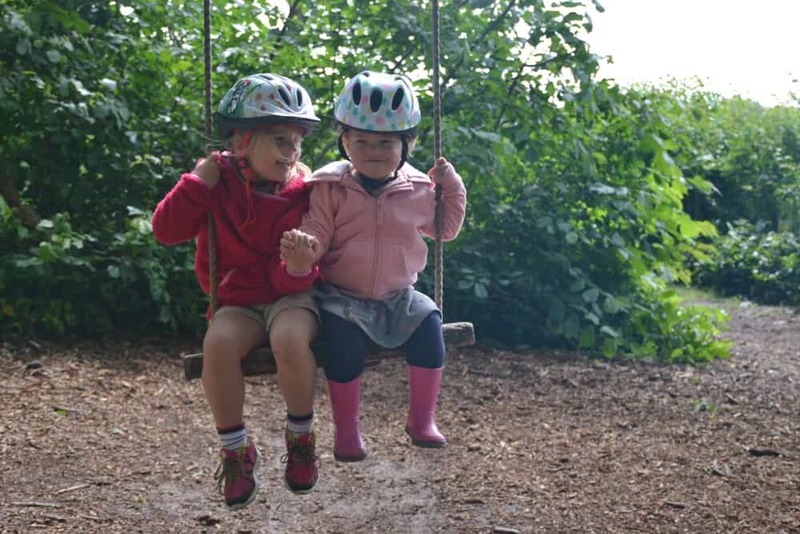 We hardly touched on the gardens or the walks in the wider estate, which include a sculpture trial, wildlife spotting and more woodlands play trails. There is certainly a lot to do for all ages and interests. 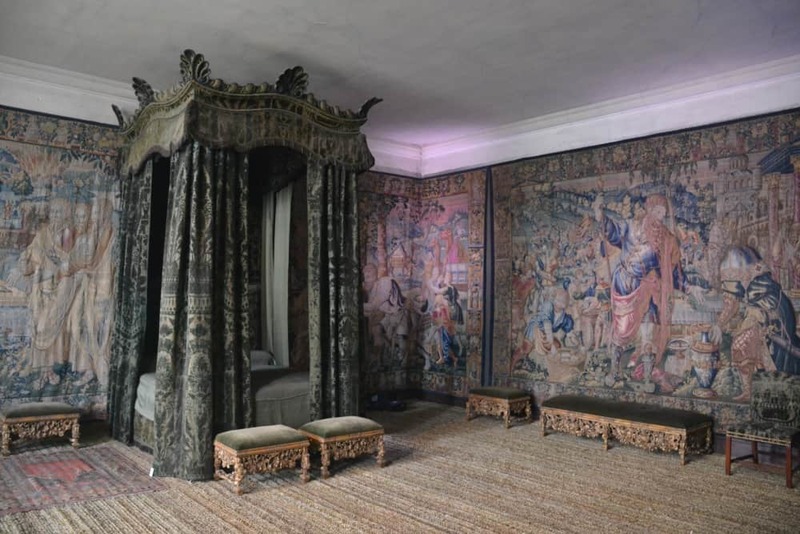 If you’re in the Derbyshire area this summer we can highly recommend a visit to the spectacular Hardwick Hall. 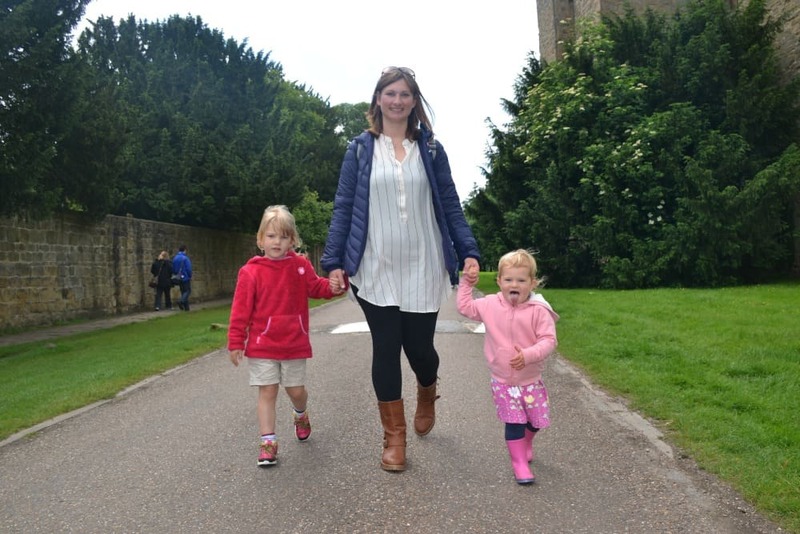 The new Hardwick Hall and gardens are accessible with a pushchair but take a baby/child carrier for the Old Hall. There’s a fabulous baby changing facility next to the restaurant in The Stableyard when you walk through the Visitors Centre. The restaurant serves breakfast and cakes before midday plus a great range of tasty hot meals and sandwiches throughout the afternoon. We were seated by helpful members of staff during the busy post-lunch period. This was a great help with two young children. There’s also a takeaway van selling drinks and snacks outside the main restaurant. 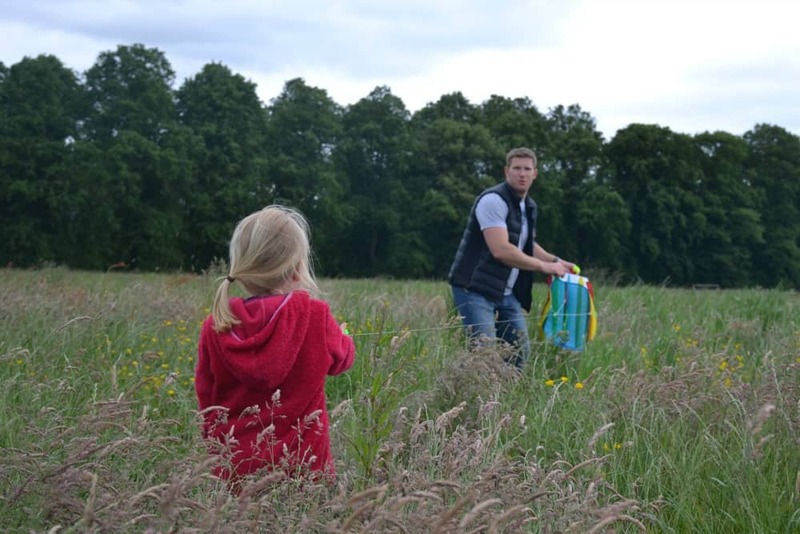 If you bring your own picnic there are blankets available to use on The Stableyard lawns. Pick up a ’50 things to do before you’re 11 ¾’ booklet at the Visitors Centre – you’ll tick off a lot of mini adventures during this visit! If you have time you can also visit Stainsby Mill – another National Trust property nearby where you can grind your own flour. For up-to-date opening times and entrance fees see the National Trust website. 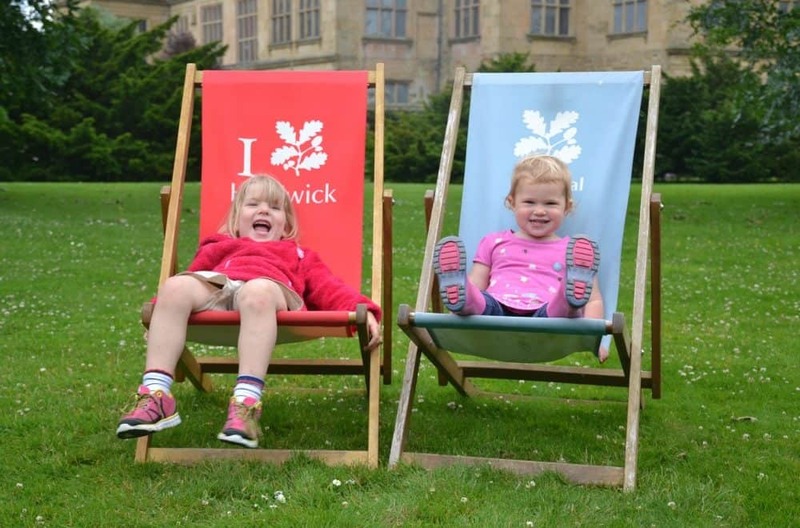 If you love National Trust days out have a read of our reviews of Trelissick, Lanhydrock, Saltram House, Killerton, Mottisfont Abbey and Kingston Lacy. 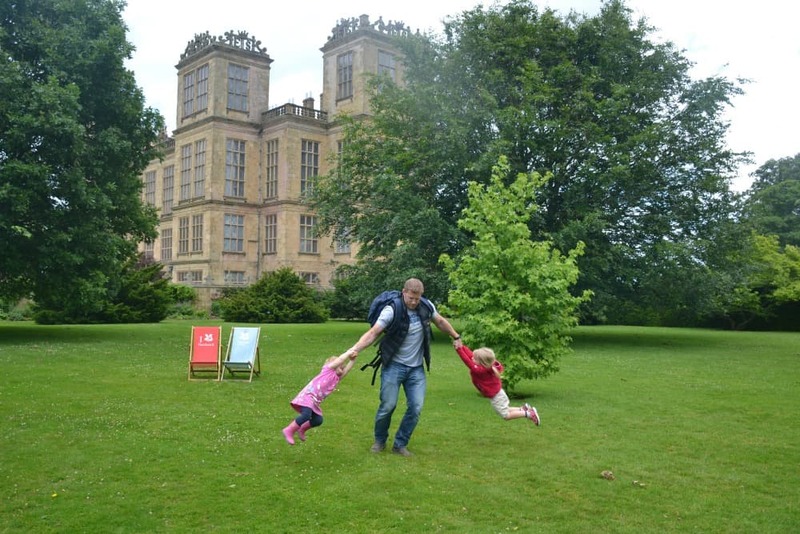 Disclosure: we were invited to review Hardwick Hall as guests of the National Trust. We were treated to lunch and a fantastic goody bag for the girls in exchange for this post. All opinions are my own (and I’d have written about our visit regardless). Gah, those grounds look amazing. I love English castles, they’re so well-kept. Looks like your kiddies had a blast! !